BNNT Materials has, this year, been aggressively using all our material for applications development, in our new applications division and with application partners. Contact us to discuss becoming an application partner based on your application or research. We are now increasing production capacity, working through order backlog accumulated in recent months, and again accepting new orders -- lead-times will depend on demand and order sizes as we scale-up. If you can provide advance notice, or distribute larger orders over multiple deliveries, we can better accommodate all of your needs. 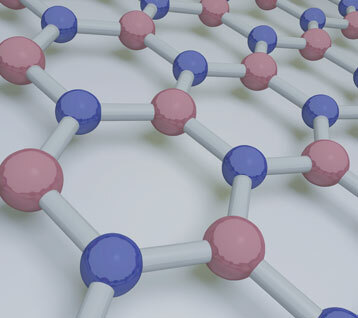 Matches strength of Carbon Nanotubes (CNT); BNNT and CNT are the strongest two fibers that will ever be made. Actually fibril, i.e. few wall very very long tubes (this has not yet been achieved for CNT in any quantity and may never be achieved). Maintain strength to over 900°C; CNT start losing strength at 400°C. Possibly no cytotoxic effects [4,5]. Science --> the few wall novel materials with their unique chemistry will be the basis for scientific discoveries on the same scale as has taken place with CNT. Product R&D --> the first few tests with compositing and biomedicine indicate that BNNT can be used for making innovative products that will make global market impacts. Game changing products --> recent discoveries will result in the materials soon becoming available at prices and quantities that support long term investment for profitable products. BNNT, LLC's goal is to provide the raw and purified BNNT for science, product R&D and game changing products. View BNNT P1-Beta online technical data or download PDF. Need a purchase order? Receive an electronic quote.